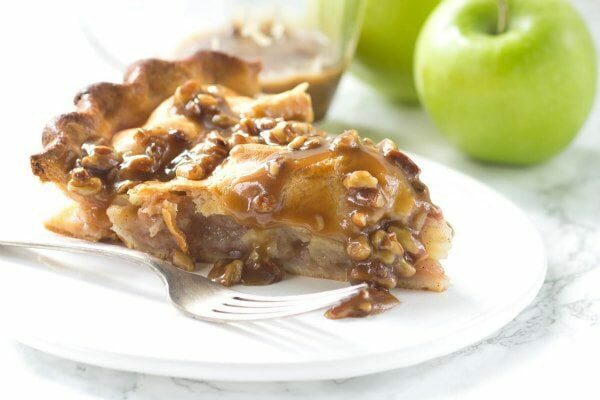 This is a double crust apple pie with a rich and decadent gooey praline topping drizzled on top. Make this pie the morning of your gathering. 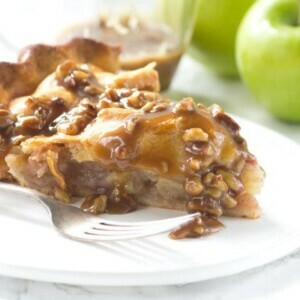 After it cools, pour the luscious praline topping over the crust. 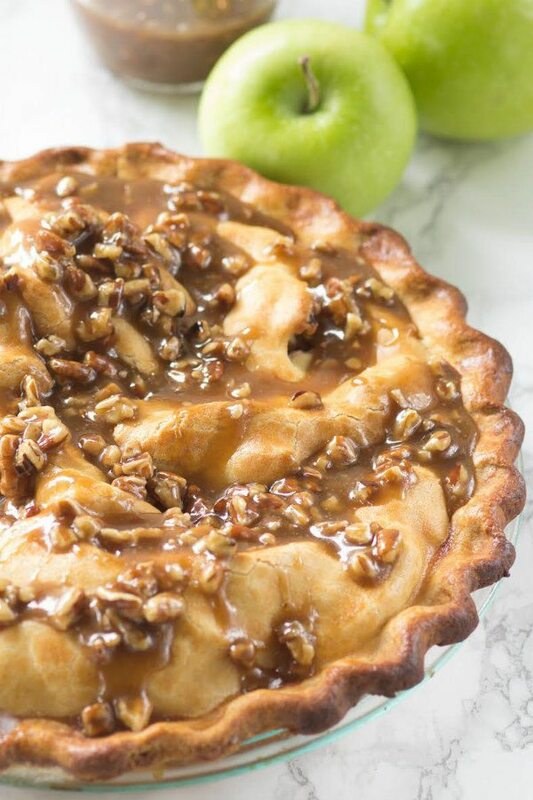 If your family likes to enjoy dessert after dinner settles, put the pie in the oven when you sit down to eat your meal, and serve it warm later. Preheat oven to 400°F. 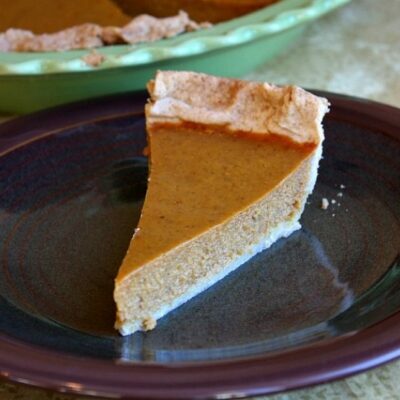 Press the piecrust into a 9-inch pie plate. Prepare pie: In a large bowl, mix together the sugar, flour and cinnamon. Stir in the apples; spoon the mixture into the crust. 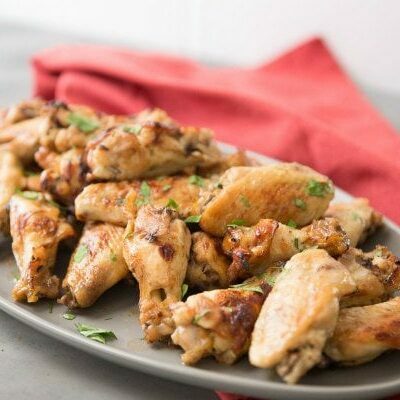 Dot with 2 Tablespoons of butter; sprinkle evenly with lemon juice. Top with the remaining piecrust; fold the edges under, and crimp. Cut several slits in the top. 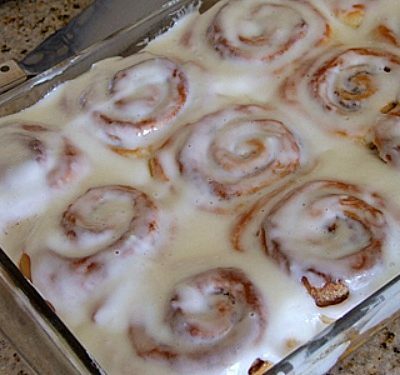 Brush with egg wash.
Bake for 45 minutes on the lower oven rack, shielding with aluminum foil after 30 minutes to prevent excessive browning. Remove from oven, and let cool completely. Prepare topping: Melt 1/4 cup butter in a small saucepan; stir in the brown sugar and whipping cream. Bring to a boil over medium heat, stirring constantly; cook 1 minute, and remove from heat. Stir in the pecans, and let stand 5 minutes. Slowly drizzle the mixture over the cooled pie. Would you refrigerate or leave out in room temperature? Either is fine. I leave at room temperature if it will be eaten within a couple of days.